Looking for a pair of minimalist running sandals without the bothersome toe-strap and are easy to slip on and off, fuss-free? You’ll LOVE the Xero running sandals, the Amuri Z Trek because they’re premium in their incredibly comfortable fit and does an admirable job at virtually feeling invisible on your feet, making every stride you take feel as if you’re barefoot! Like all Xero running sandals, the construction of the Amuri Z Trek draws its inspirations from the barefoot condition whereby in addition to being considered the ultimate sports sandal, the Amuri Z Trek encompasses a zero-drop (completely flat) super thin and wide platform, feather-weight lightness as well as flexible form-fitting straps intended to better engage foot flexion and expansion, all of which does the necessary job of closely replicating the barefoot experience. If you love running in minimalist sandals, but experience ongoing discomfort with the strap between your big and second toe, the Amuri Z Trek will definitely improve your running experience as the sandals are constructed with a Z-pattern strapping system, the most alluring part of the sandal, that wraps around your foot for a locked-in fit, with a snug welcoming interior!. The list of what makes the Amuri Z Trek’s great is long! 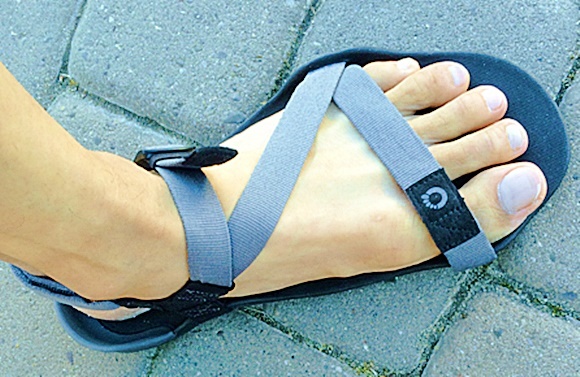 So lets start with the obvious that most wear-testers rave about which is the easily adjustable, pressure-free Z-pattern strap system which has really out-innovated most barefoot running sandals because its stretchy enough to allow forefoot spreading and flexing, yet snug enough throughout the heel and midfoot to prevent slippage. 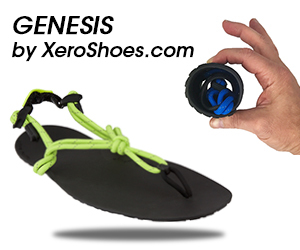 It also keeps the foot centered in the sandal during all phases of running gait, at any pace! Bottom line, durability is probably the most appreciated aspect of the Amuri Z Treks! Its true next level durability is why the Z Trek ranks as one of the most prized minimalist sports sandal among the minimalist community. All in all, the Amuri Z Trek is an incredibly nimble, lightweight package, weighing in at barely 6.5 oz and is a workhouse in the durability department. In fact, Xero Shoes offers a 5,000 mile warranty which is definitely a major selling point because good, reliable durability is very hard to come by in thin barefoot-like footwear! Let’s zoom in on all the great qualities the Amuri Z Trek offers in serving you well as a walker, runner or hiker! The standard lacing system of the typical minimalist running sandal was given a complete overhaul in the Z Treks as the laces were replaced with straps, and for your own convenience, comes ready-to-wear as the straps are already in place for you! The ease of the strap adjustments makes for a much more comfortable and customizable fit. Even for wide feet, the Z Trek fits perfectly, regardless of foot shape, giving a fully adaptable fit across the entire foot! The Amuri Z Trek’s ultra thin straps excels at fusing the sandal to your foot with no issues securing the straps tightly to lock down the foot to the sandal, giving an outstandingly comfortable foot-hugging fit without being too tight. No serious fitting problems, guaranteed! The strap’s materials are a nice balance of water-resistant fabrics and rust-proof hardware that come together perfectly to form a functional assembly that’s expansive, flexible, moves very well with your foot and holds up impressively, durability-wise. 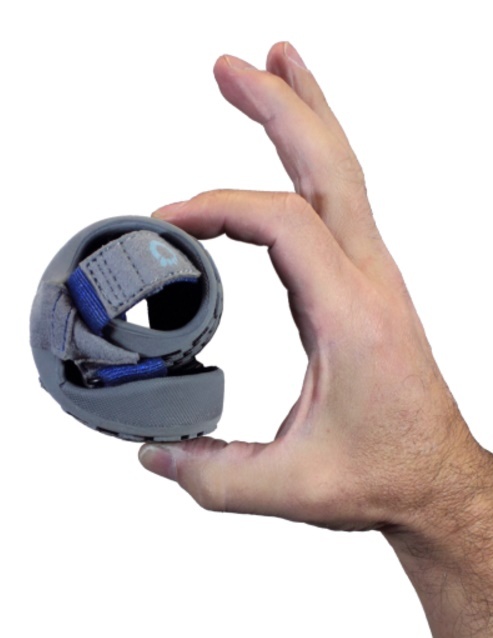 Bottom line, the straps are functionally specialized to allow your foot to expand to its natural state which produces an assortment of positive results such as strengthening your ability to engage more steadily and securely on any terrain as well as re-engaging your feet, making it easier for your feet to get more important growth in strength! These are some of the good fundamentals as to why you have so much to gain with the Xero Amuri Z Trek! 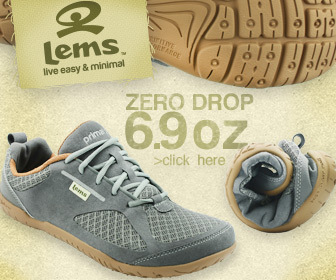 At 5 mm’s thin, the Z Treks outsole delivers an exceedingly barefoot-like ride with a fast n’ zippy feel, yet is heavily armored with a surprisingly amount durability which is due to the patented Feel True rubber compound. Another highlight is the outsole’s extremely low-profile is more than low enough for the barefoot crowd and enables you to take charge and connect better on your forefoot during running, giving you the protective means to avoid unbalanced, forceful footfalls. To improve the fit and feel during running, the sole fantastically features a heel cup that cinches down nicely onto the heel, securing the heel from moving around and helps keep debris out! The sole features an array of arrow-head lugs intended to make the sole super bendy and offers really good traction and protection on a mix of gnarly terrain from gravelly uneven paths to rooted and acorn-littered trails to taming the feel of rocky terrain. It also takes you from the trail to the road without missing a step by delivering a soft, responsive ride on smooth level paths, like streets, sidewalks (concrete and asphalt) and the track. Another impressive asset of the Z Trek’s sole is it gives ample flexibility and traction to move more agile in streams! Despite the sandals seemingly limitless durability, the Z Treks sole is also meant to do exactly what its designed to do in providing the ground-feedback necessary to keep your forefoot strike working more effectively during running, while simultaneously providing the feet with needed sensory-ground stimulation in which a large majority of foot strength progress grows from! An outsole that delivers an endless flow of high-resolution sensory feedback, mimicking the effects of barefooting, coupled with full flexibility should be the one of the basic requirements that makes a good minimalist running shoe, and the Amuri Z Treks sole definitely gets a BIG stamp of approval for exceedingly meeting those minimalist essentials! What’s the Amurzi Z Trek Good for? The Amuri Z Treks are a big performer when it comes to running 5-km to the ultra-marathon on hard, smooth surfaces, but aside from road running, the Amuri Z Treks offers limitless versatility in other areas like biking, yoga, weight-lifting, walking through streams, walking on the beach, hiking on rocky, bouldery and root-littered trails and running off-road on technical rocky routes as well! 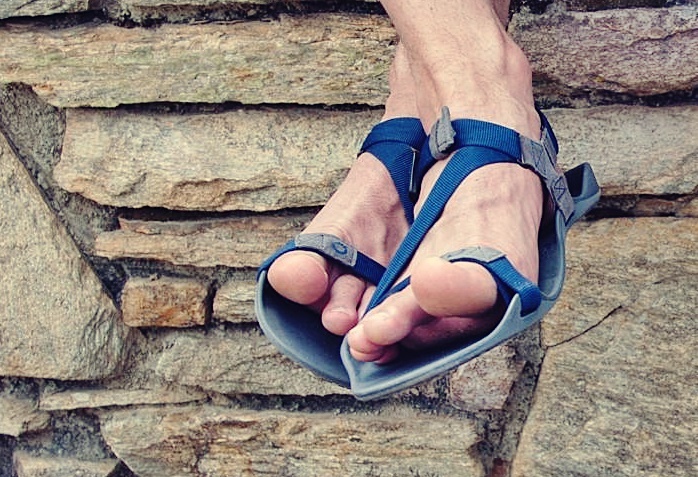 Because of the Amuri Z Trek’s structure and materials really do square well with the barefoot condition, these sandals are a supremely useful transition tool for helping you get a head start down the barefoot path! More minimalist and barefoot-feeling than the average minimalist running shoe, the Amuri Z Trek merges flexibility and lightness together making the sandal super convenient to pack, so you can take them with you everywhere! 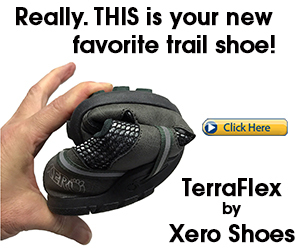 My overall assessment of the Xero Shoes Amuri Z Trek is the sandals have the direct effect that I hoped for in having so many great strengths that can help you undo years of bad running form habits and resuscitate your foot’s functional strength and vitality in ways that traditional footwear could never do! If you’ve enjoyed this review, you’ll love my other reviews here on all the barefoot-like running shoes best suited for forefoot running!